If there are any men out there who are pretty pumped to propose to their partners sometime soon because you’re super proud of your proposal plans well, I’m sorry to be the one to tell you this but there’s a guy out here who has killed the game, and his name is Dennis Brown II. 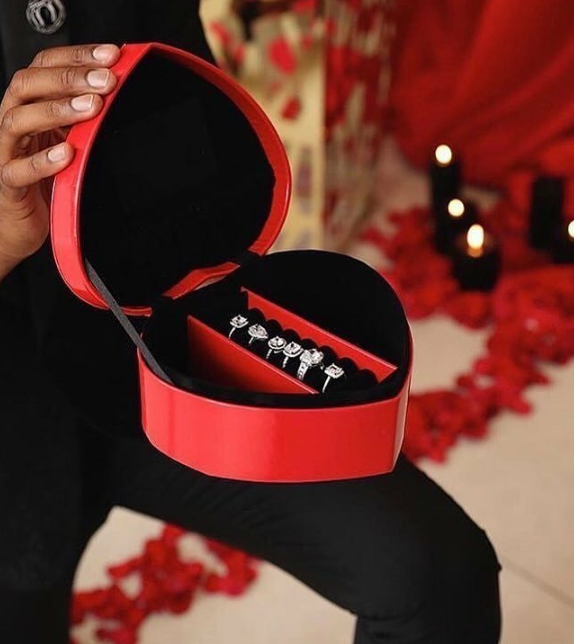 So, instead of choosing just ONE ring to propose to his girlfriend with, Dennis Brown II figured he’d be the most generous fiance-to-be ever and allow her to choose her own out of SIX options. SIX. Talk about covering all your basis. Brown definitely made sure he would get it right finsing the perfect ring for his lucky partner. He also packaged the six rings in a HUGE yet adorable heart shaped box. So basically all other men should pretty much just give up now yeah? But the question is; which one did she pick!? Well, after obviously saying yes, Brown’s girlfriend picked a huge teardrop ring from the beautiful selection. But if you think the 6 rings were the show stopper of the night, well, you’d be wrong. 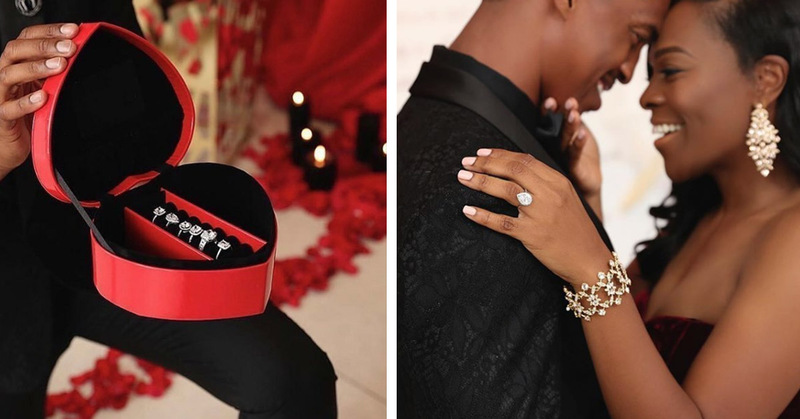 The whole proposal was extravagant and incredibly well thought out, having been planned with meticulous detail. You could definitely tell that Dennis had put a lot of effort into making sure that this was the ultimately perfect moment to get down on one knee and ask the woman he loves to be his forever. Dennis not only went as far as to hire an event planning and styling firm, but also a photographer, a florist, a drape designer and a STYLIST to make sure he 100% looked the absolute part. Well, mission accomplished I would say! And that’s not all; to top it off he also poured his little heart out and wrote a beautifully heartfelt message for his lucky, lucky bride-to-be onto a HUGE banner for everyone to see. “Today, on your special day I had the pleasure of putting a smile on your face all day. For there is no greater gift that I could think to give you. No I’m not crying… YOU’RE crying! 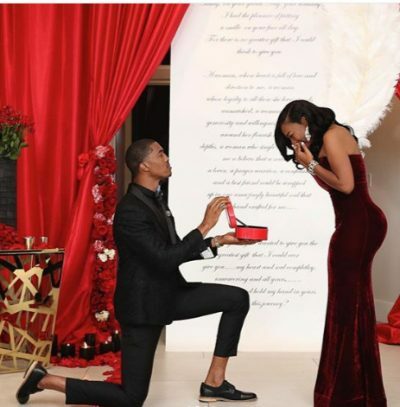 I think it’s safe to say that Dennis Brown II has certainly raised the bar for all future proposals… good luck men!